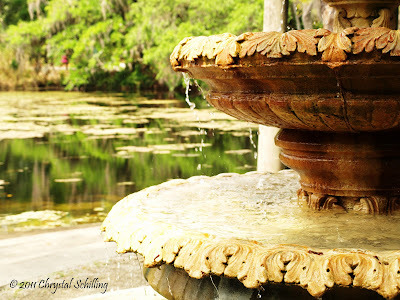 At Airlie Gardens there is a beautiful fountain right next to the lake. There were swans swimming in the lake and herons standing by. And to get to this fountain you can walk through a long vine covered archway. Perfect setting for a wedding.